5.5 percent of Americans to an alarming 6.5 percent. In just one year! 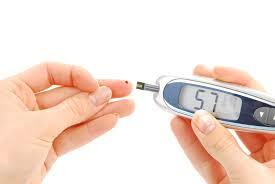 Overall, twelve million Americans have been diagnosed and another 5 million Americans have diabetes and don’t know it. And yet another 12 millions are on their way to type 2 diabetes because of impaired glucose levels. Not knowing is the worst because risks of untreated diabetes puts us at a terrible risk of complications including but not limited to blindness, amputations and ultimately death. Statistically, people are now living longer, and it has been on the rise for years. But this will not continue if type 2 diabetes is not put under control. We are a gluttonous society and ultimately it is affecting how we live and how long we live.